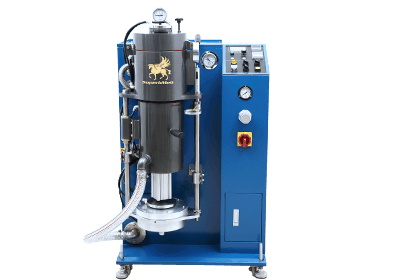 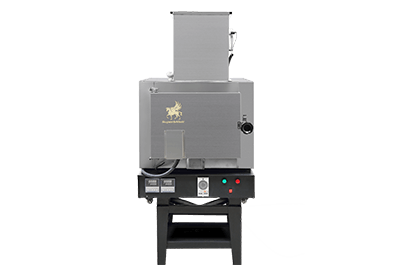 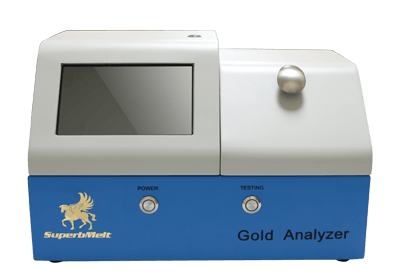 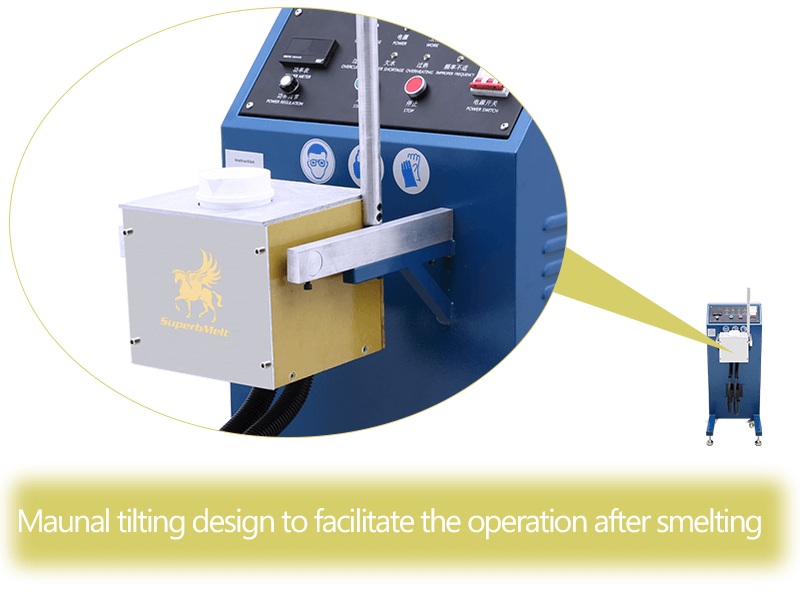 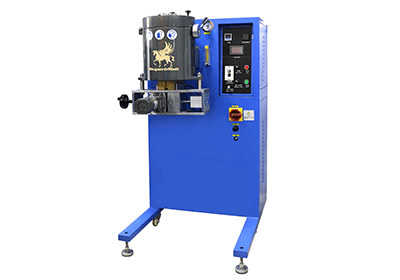 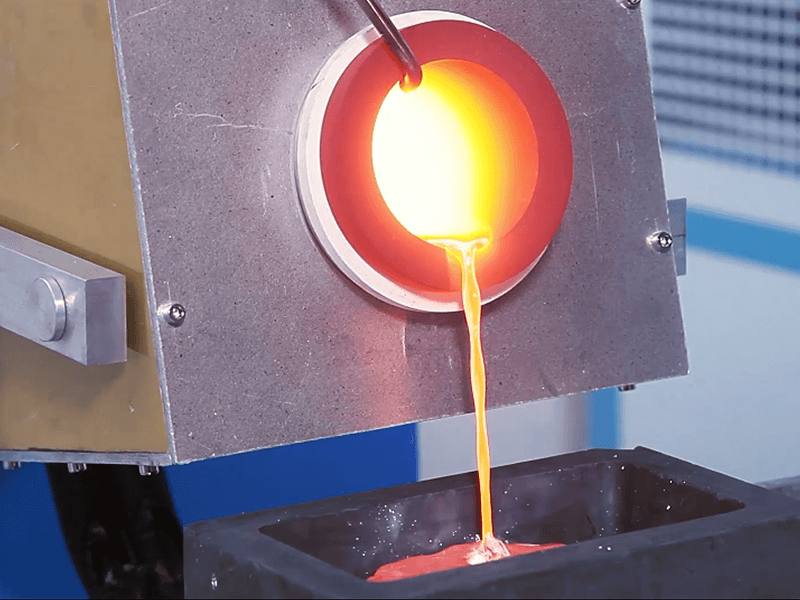 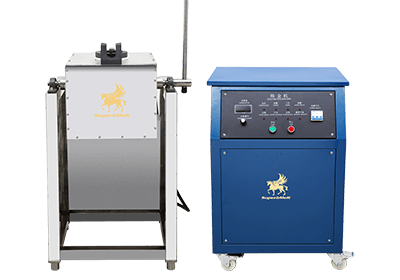 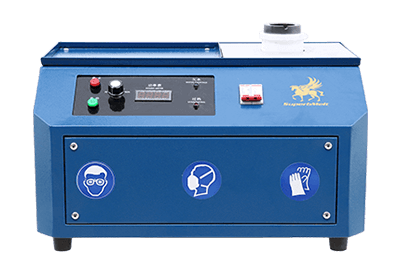 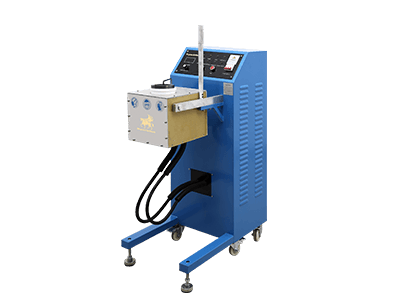 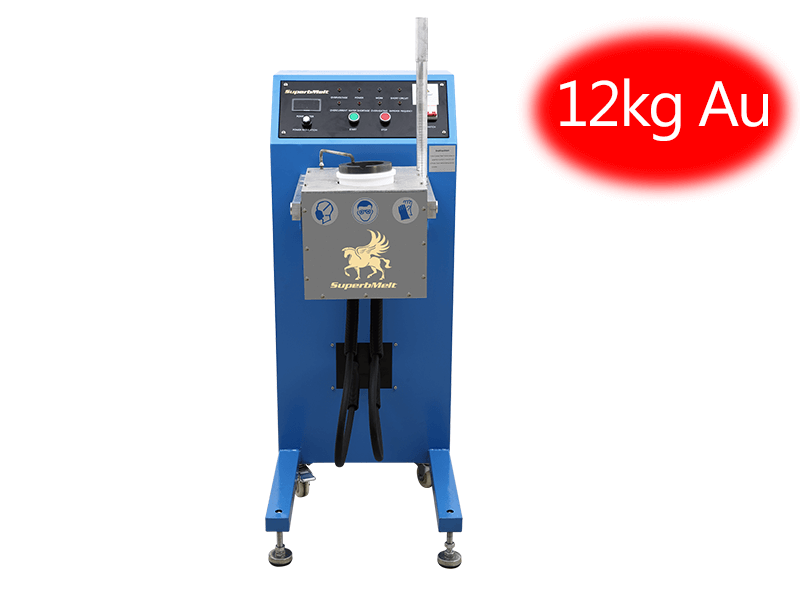 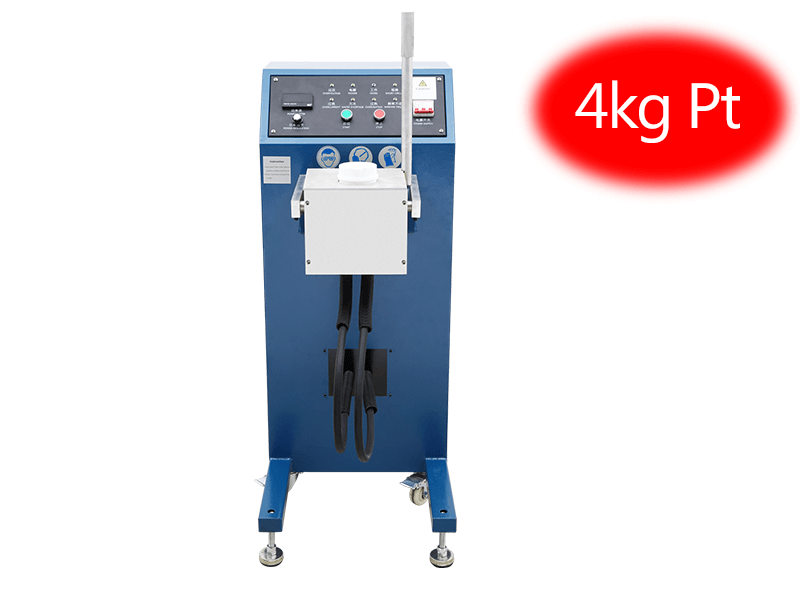 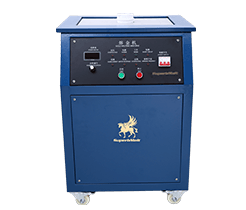 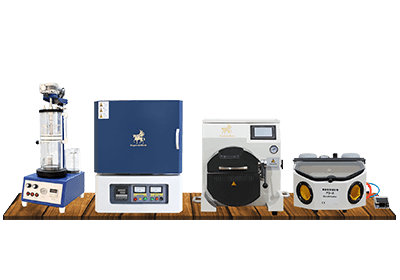 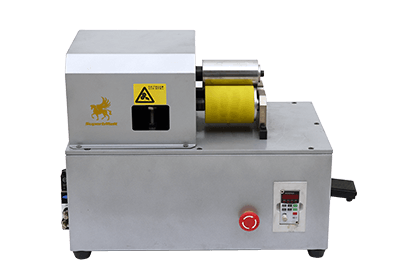 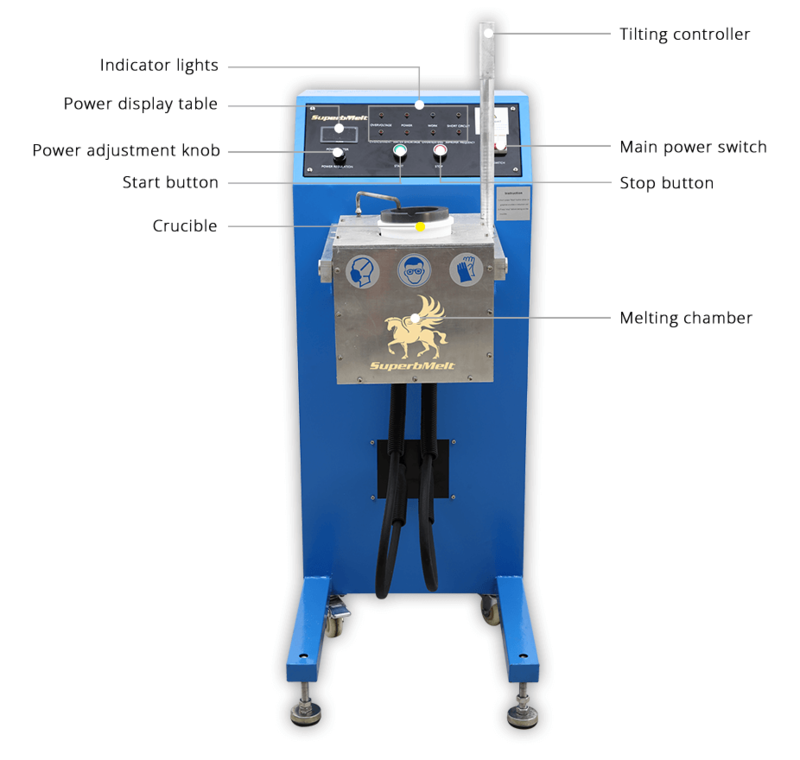 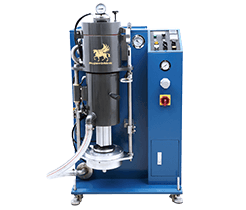 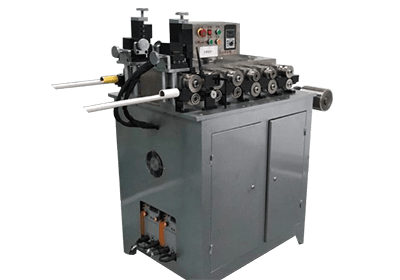 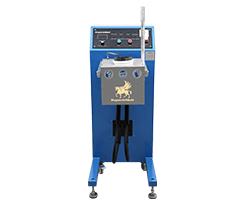 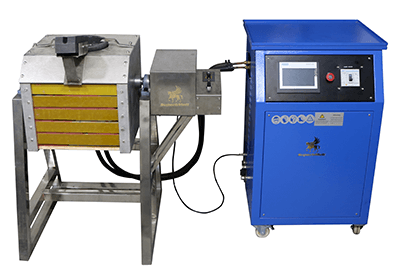 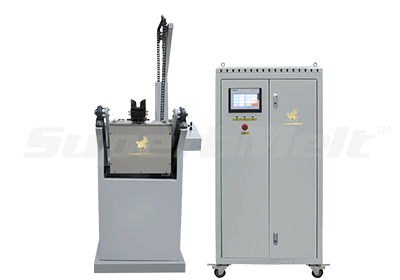 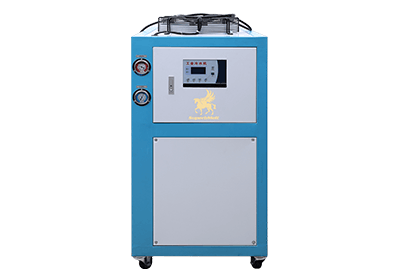 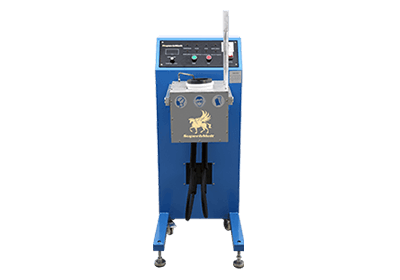 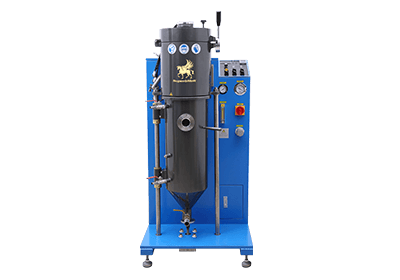 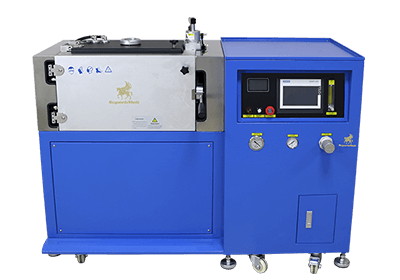 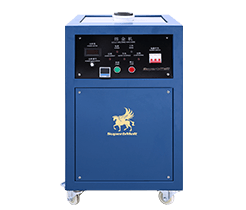 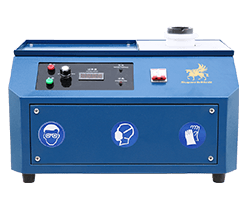 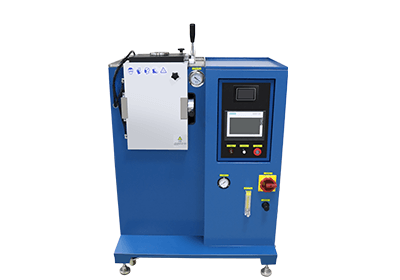 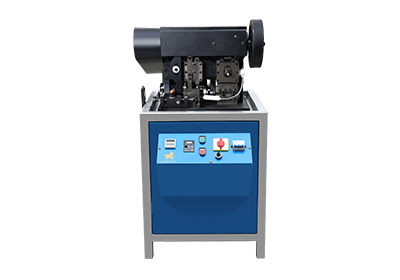 This furnace adopts medium frequency induction heating method to melt max 4kg platinum or 12kg gold (6kg silver). 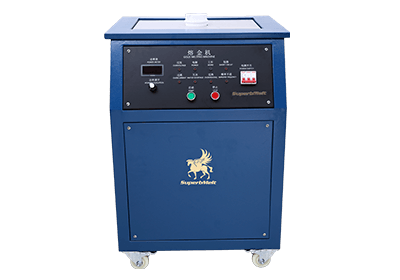 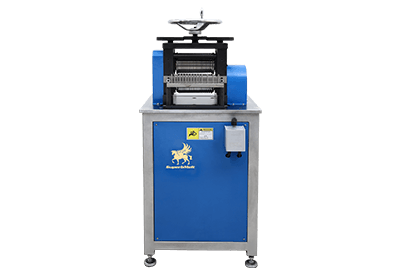 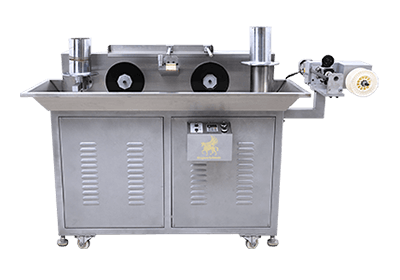 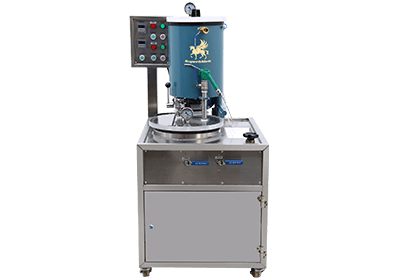 Medium frequency power not only provides speedy melting efﬁciency but also produce strong electromagnetic stirring in the melting process. 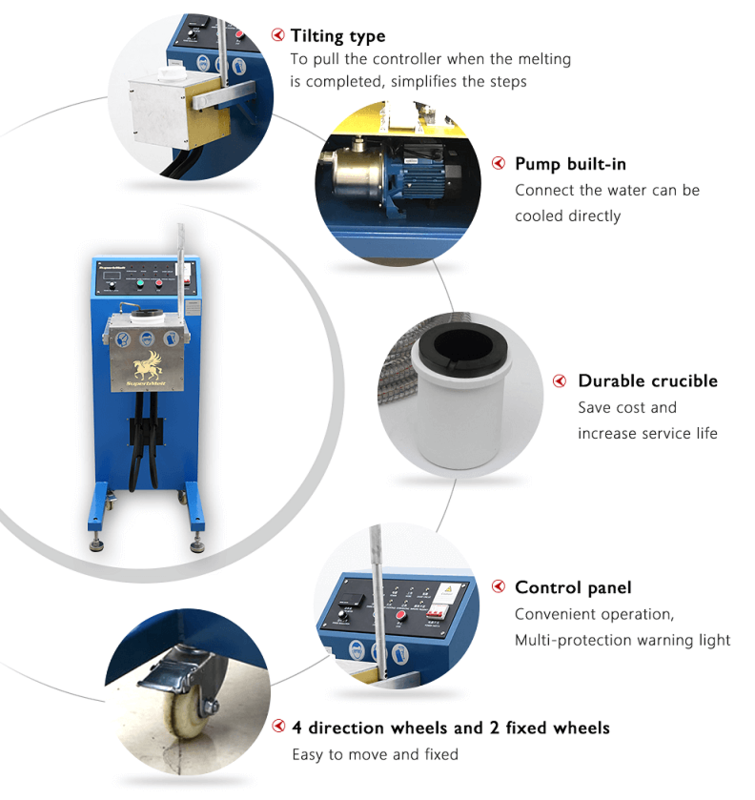 Maintenance of the furnace is very easy. 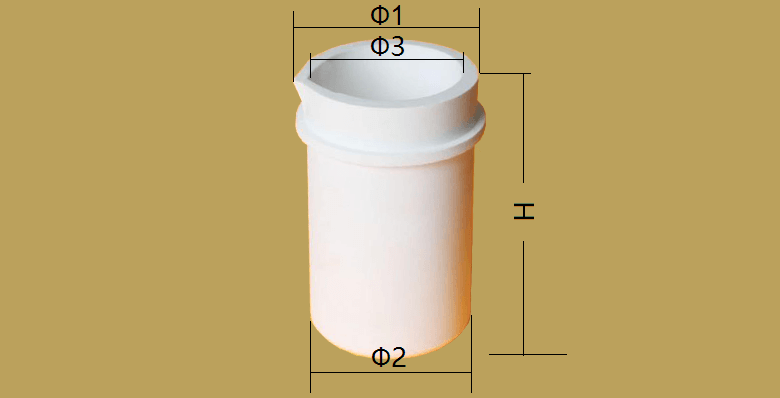 The furnace is crucible based and allows rapid changing of the crucible and the safety refractory shell. 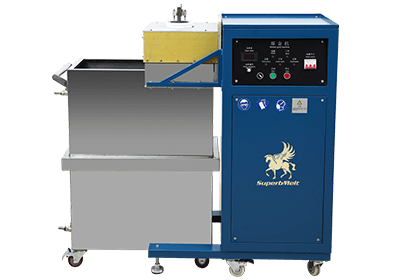 100% full load, 24 hours of continuous working ability improves production rate. 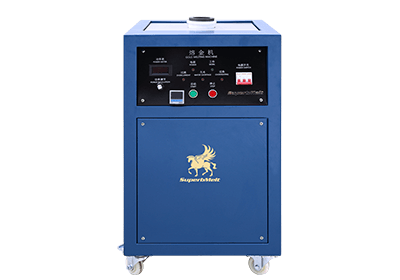 Rapid rising temperature and power consumption saving lead to high cost efficiency. 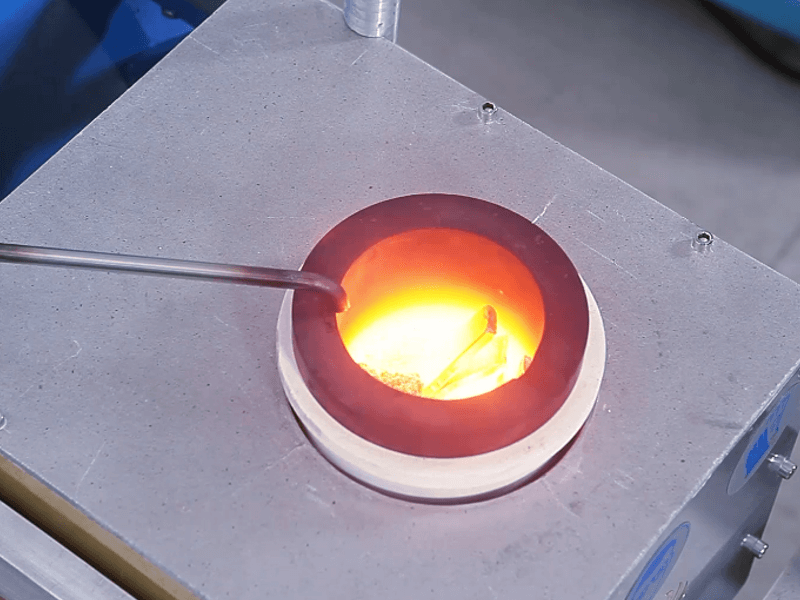 The occupied land for the platinum melting furnace is less than 1 square meter. 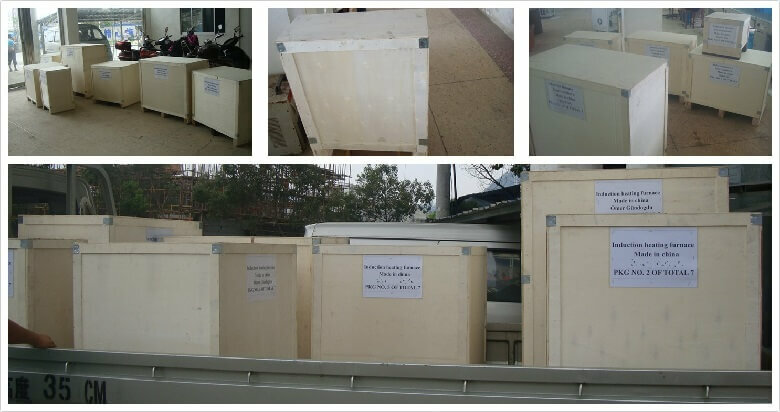 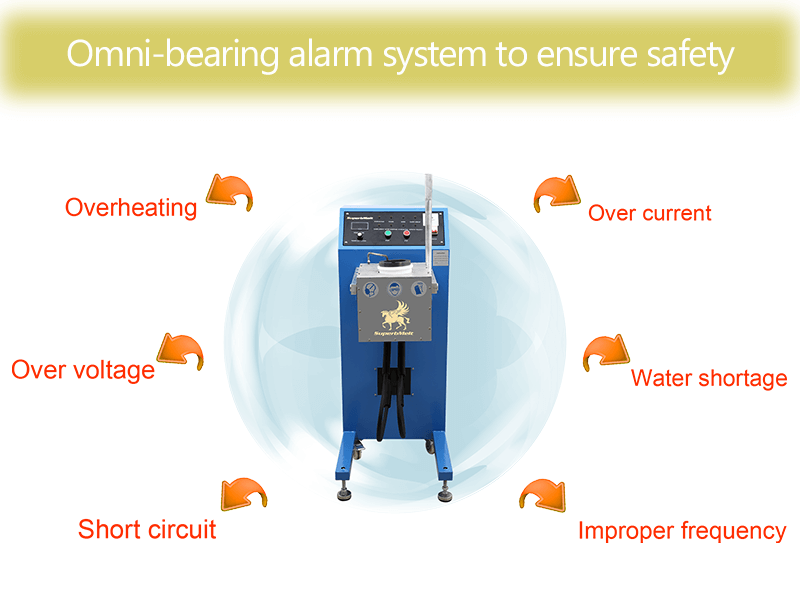 Omni-bearing protection warning functions: Over-heating, over current, over voltage, short circuit, water shortage, improper frequency. 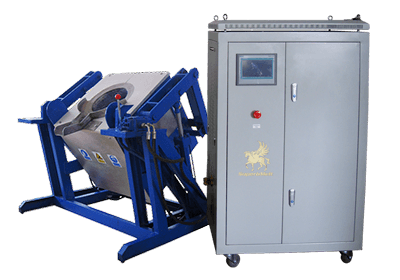 Modular design, ease of maintenance, requires low operation cost, easily operable, produces low pollution and noise.